Selected as Party of the Day on April 17th! 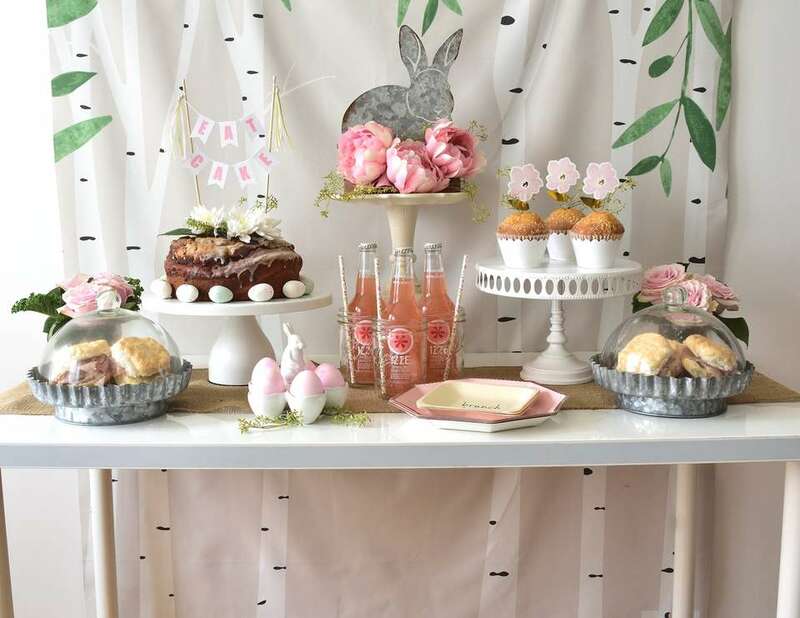 Easter is a wonderful time to celebrate with a springtime inspired brunch! This simple setup is filled with seasonal elements and easy eats but still delighted guests with pretty little decorative details! 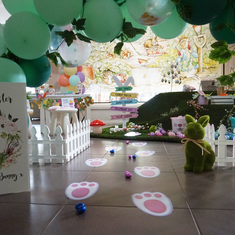 A serve-yourself buffet and pretty table were decorated in soft pastel shades of the season, bunnies and blooms! On the table, each guest found a cute DIY bunny tail truffle for a whimsical and delicious treat! 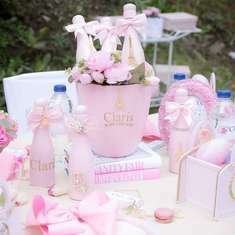 And each place was set with pretty paper plates and napkins that don't skimp on style! 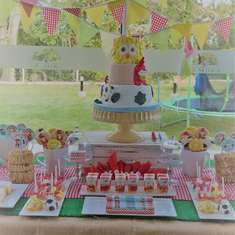 The brunch buffet was also decorated with spring elements and was highlighted with a beautiful backdrop to make the table appear that it was nestled in the woods full of trees sprouting fresh green leaves! 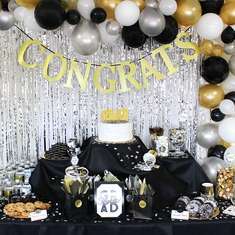 A really easy way to take a very simple party table and make it look amazing! Pretty banners, toppers and flowers added pops of spring color for a lovely spread! Let's celebrate springtime!